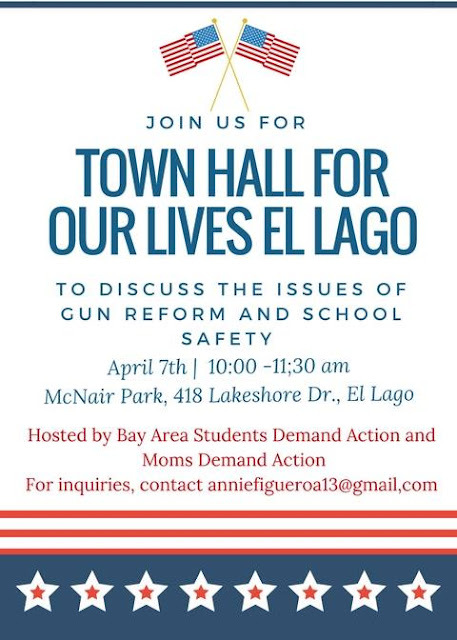 Congressman Babin has been invited but don't hold your nose. He ain't coming. Hundreds of thousands of us marched across the country on March 24. But that’s only the beginning. To take this message directly to lawmakers, we need them to hear us directly--and soon. Every single member of Congress is back in their district on District Work Period--better known as “recess”--between March 23 and April 9. So March for Our Lives has raised the call for a congressional Town Hall in every district in America on April 7.